Osteoporosis was in the news recently, with a “call to action” to improve screening, diagnosis, and treatment of high-risk patients issued at the American Society for Bone and Mineral Research's annual meeting last year and publication of new clinical practice guidelines for diagnosis and treatment. Data show that fewer women are being tested and treated for low bone density and that costs and hospitalizations among older women with osteoporosis are higher than for myocardial infarction, stroke, and breast cancer. Primary care physicians can help address the problem by intervening earlier in life to help reduce risk factors and by keeping an eye out for fractures that result from low-risk falls, experts said. Read our story to learn more. Nutrition and nutrition counseling can play an important role in managing overweight and obesity, but they can be overlooked in primary care. For example, according to the federal government's Healthy People 2010 report, the proportion of visits for patients with cardiovascular disease, diabetes, and hyperlipidemia that included nutrition counseling decreased from 42% in 1997 to 28% in 2007. The main barriers, as with many interventions, include time and training. 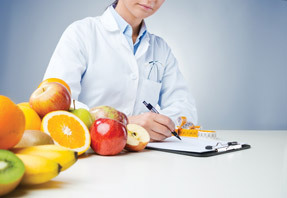 Our story offers advice on the most efficient ways to incorporate nutrition counseling into your practice, many of which can be distilled into one main tip: Keep it simple. Our conference coverage in this issue is from CHEST 2016, held last October in Los Angeles. Experts debate how preferred therapies for chronic obstructive pulmonary disease have changed since publication of the FLAME trial, which found that outcomes were better for patients who received a combination of a long-acting beta-agonist and long-acting muscarinic antagonist than for those who received a combination of a long-acting beta-agonist and an inhaled corticosteroid. 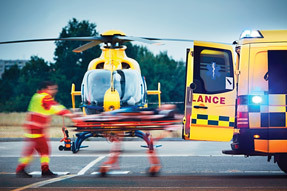 Also, read advice from a flight physician and nurse about the top factors to consider when choosing emergency patient transport. 2016 was a turbulent year, due in large part to the U.S. presidential election. ACP's President, Nitin S. Damle, MD, MS, MACP, reflects on the effects the new administration and Congress may have on health care, while Bob Doherty, ACP's Senior Vice President for Governmental Affairs and Public Policy, discusses what President Trump can learn from President Obama. We wish all of our readers a happy 2017. E-mail us to let us know what you're anticipating for internal medicine in the year ahead.